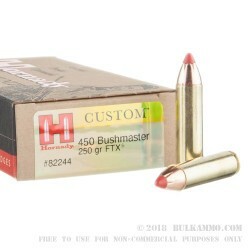 When Jeff Cooper described the “thumper” concept, he wasn’t too far off from what eventually turned into the Hornady and Tim LeGendre compilation we know as the .450 Bushmaster. 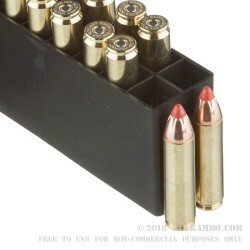 What the “Thumper” was, and the .450 Bushmaster is, is a powerful, one shot stopper from a semi auto (namely the AR platform) utilizing a large bore projectile. What wasn’t known then, was the incredible amount of use cases that could be dreamed up for the .450 Bushmaster to effectively turn this round into a super versatile piece in the modern gun landscape. Up to more than 200 yards, this round has devastating power offering a seriously flat trajectory considering the punishing size of the projectile. 3.4 inches of drop from 150 to 200yards, makes this an incredibly efficient brush gun, but more than just a brush gun. Forget just overcoming the deflection found in lesser projectiles that make brush guns viable. 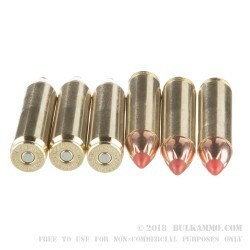 How about overcoming all the ballistic inefficiencies of many cartridges in favor of a round capable of taking elk in dense forest? How about near minute of angle accuracy at short to medium range in dense brush? 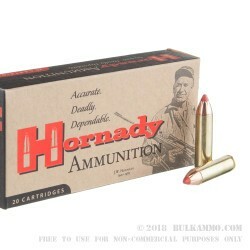 So powerful is the .450 Bushmaster and this custom load by Hornady (the original developer from the manufacturing side of the cartridge platform) that the 2200 feet per second and 2680 ft. lbs. of energy is good enough for any big game animal on two or four feet in north America under even the most adverse conditions.